Troika partnered with ESPN “SportsCenter” to develop an innovative brand identity, driven by “The Center of Sports” brand concept that conceptually and visually unites all aspects of the presentation from set integration to insert package and across all signature show package elements. 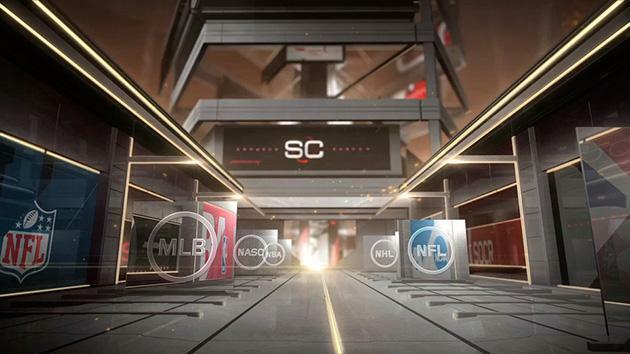 The extensive brand identity toolkits Troika created and delivered provided the conceptual foundation that the talented SportsCenter team could build upon and implement for the debut of the most watched sports show in the world. Troika’s partnership with ESPN SportsCenter through the lineage of the SportsCenter brand in 2004- Present. View a full gallery of the new look.